Stopping over at Chatswood for a brief rest stop, I took the opportunity to try out Tea journal,a tea store which has been highly recommended to me by a colleague. 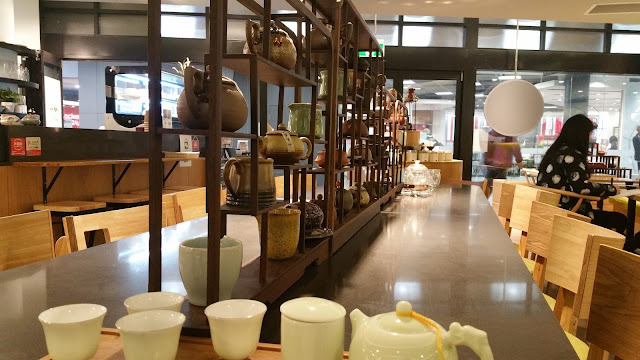 Apparently it serves quite authentic teas as well as scrumptious cakes. 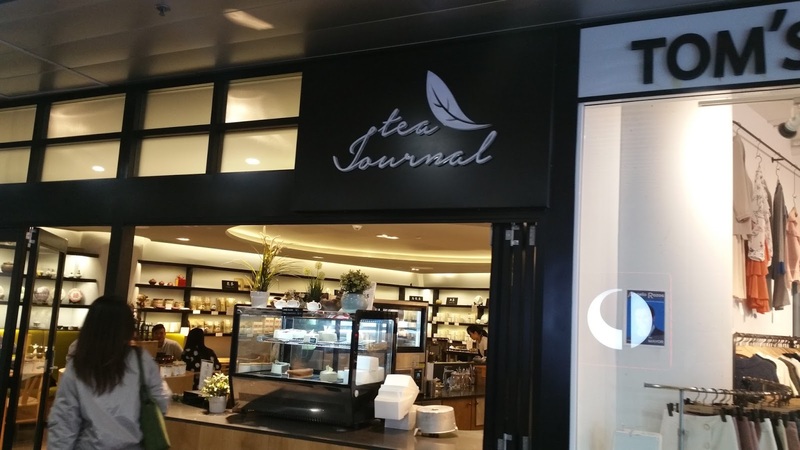 Situated at the bottom level of Chatswood interchange in an inconspicuous corner, it was actually really hard to find. 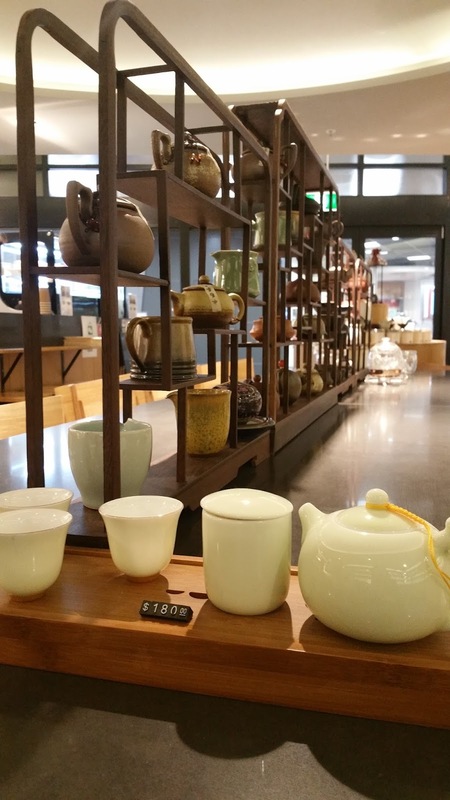 After much searching we eventually had to ask another stallholder before we could locate this little tea cafe. I was already captivated by the cakes in the display at the front of the store. 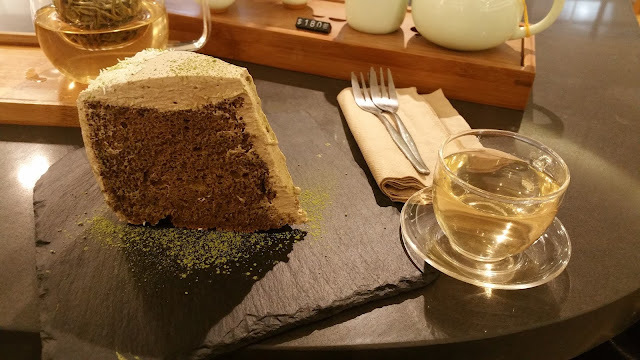 Noting that they served chiffon cake (my favourite type of cake) in different tea varieties including green tea and houjicha, I knew I had to try some. We were seated inside the restaurant, near the tea sets for sale. 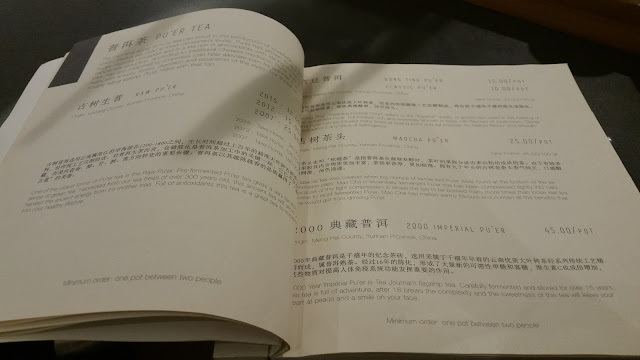 The menu consists of only teas. 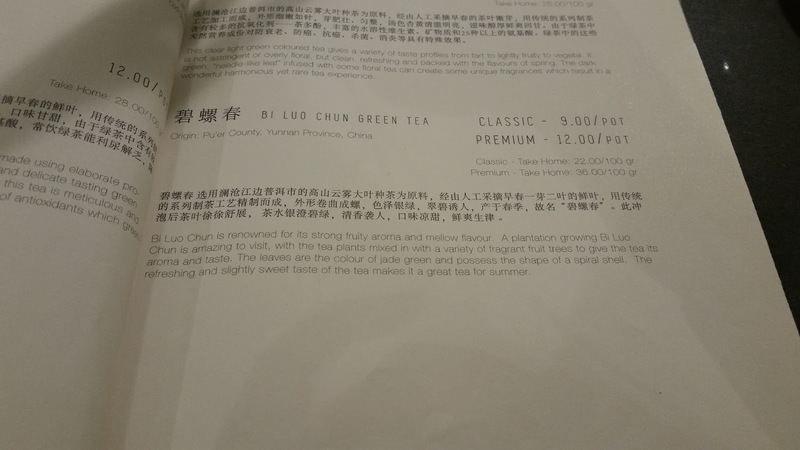 Varieties included green, black, herbal, and mixed. 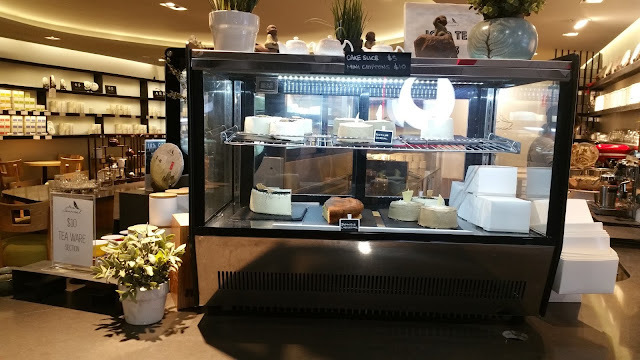 I was particularly drawn to the traditional varieties which are not often available in Australia. 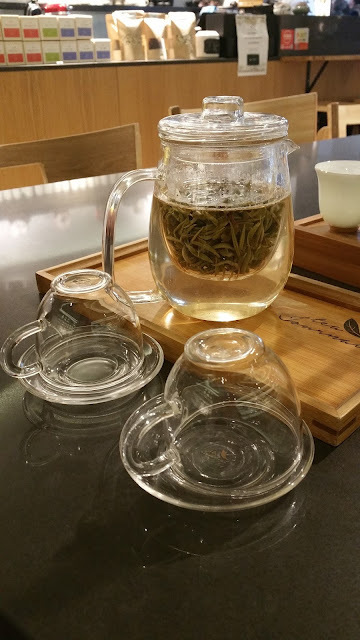 I ordered at the counter and awaited my tea to be freshly brewed. My tea was brewed rather quickly and I requested that the leaves be left in for stronger taste. I ordered my favourite brew, bi luo chun, which is known for its sharp and strong bitter taste. Introducing it to my companion, he found it a bit too intense for his liking, but to me it was perfect. 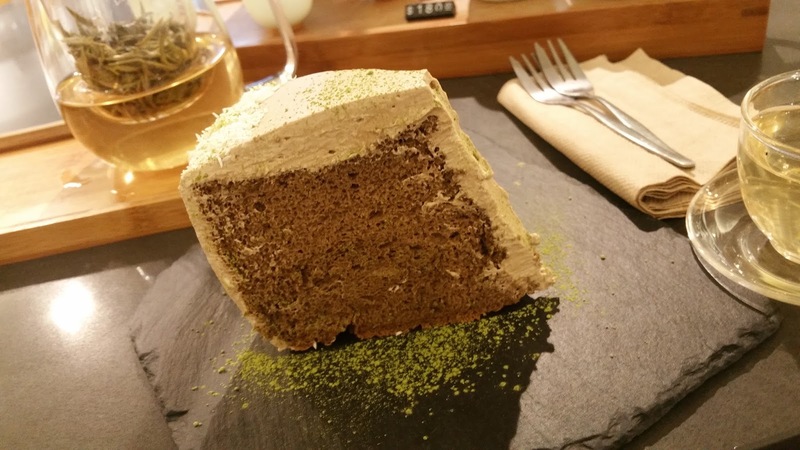 To share, we also had a slice of the houjicha chiffon cake. This was deliciously light and fluffy, although I would have appreciated a bit less cream on the top which detracted from the lightness of the cake. 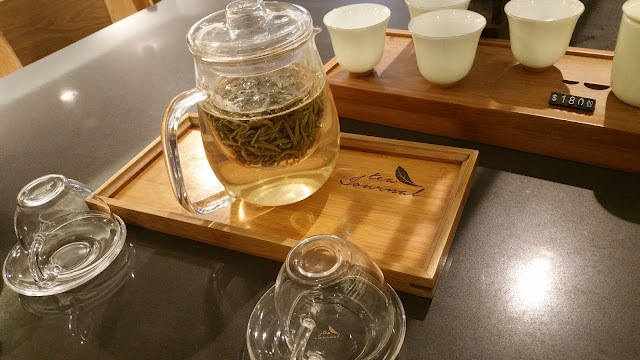 Other than that, it was really lightly sweetened and I could really appreciate the delicate flavours of the tea.